Barcelona, capital of Catalonia, is the cultural centre of northern Spain. This bustling, lively, historic city has an excellent range of art museums, fine architecture, historic monuments and amusement parks which will appeal to students studying a variety of subjects. 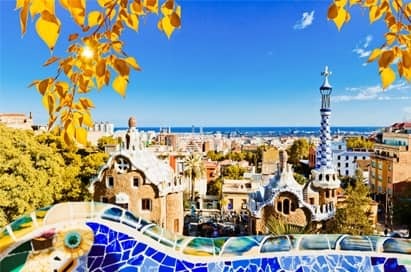 Alongside its cultural heritage Barcelona boasts a stunning beach with up to 2.8 miles of coastline and has been voted the world’s best beach city by National Geographic. 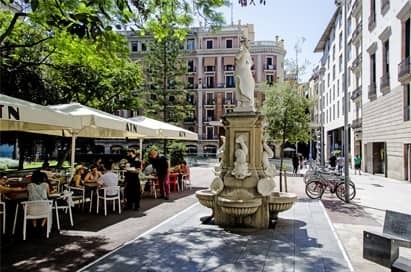 The Mediterranean climate means that the city can be enjoyed all year round. 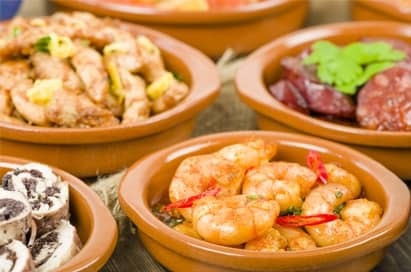 If all this does not whet your appetite, you can also take a tour of the famous Nou Camp Stadium and enjoy some traditional tapas for a real flavour of Spain. 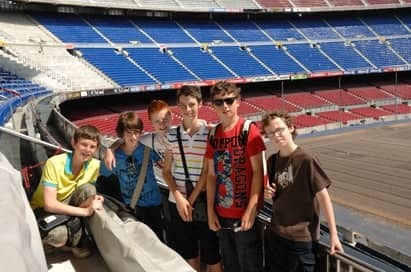 The city tour is an excellent introduction to the city, and will typically visit places such as the Sagrada Familia and other Gaudi landmarks, the Olympic Port, Montjuic and the Olympic Ring, the Old City. City tours can be tailored to meet your programme. This park is based on the design of garden cities in England and is a classic representation of Gaudi’s ideas. At the centre is the Great Esplande, with an undulating bench covered in some of the finest examples of trencadis (broken mosaic work) mostly by Gaudi's overshadowed assistant Josep Maria Jujol. A modernised museum with an interactive mural, great audio-visual displays and trophies on view, as well as an extensive collection of memorabillia. A full tour of the stadium including a view from the grandstand can be included as part of your visit. 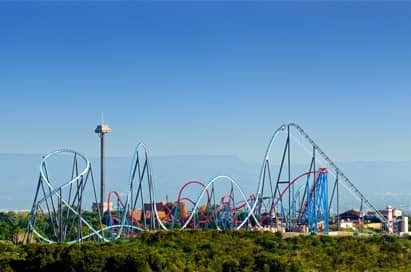 This is now Spain’s number 1 tourist attraction, and one of the biggest theme parks in Europe with the usual mix of shows, white knuckle rides and of plenty of shops and places to eat. Study workbooks on Business, Tourism and Spanish Language are available to accompany your visit. 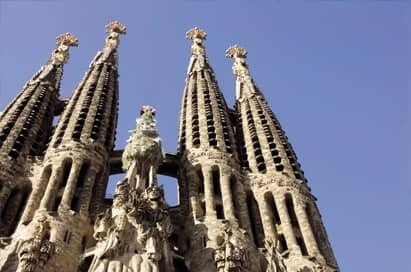 Worked on for over 100 years, the Sagrada Familia represents Gaudi's dedication to build a church with precise symbolic meaning. It is the most recognisable structure of the city. Go where the locals go and have fun while learning something in the experience. Spend an evening strolling along the historic streets of Barcelona with a knowledgeable guide while tasting a variety of Spain's culinary treasures. 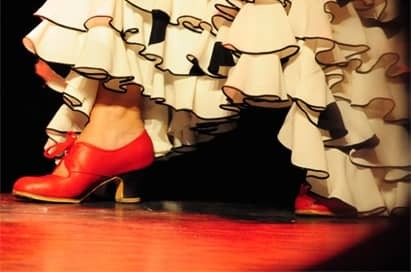 Although not traditionally famed for its flamenco, Barcelona does still offer a range of shows and workshops to demonstrate this Spanish art form. At the top of the “Sacred Mountain” is a 9th Century Benedictine Monastery with a shrine to the “Black Virgin”. 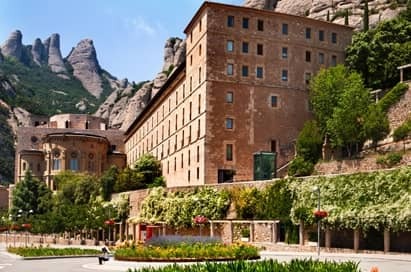 The dramatic location adds to the effect of the spiritual heart of Catalonia. Take the cable car to the top for spectacular views.